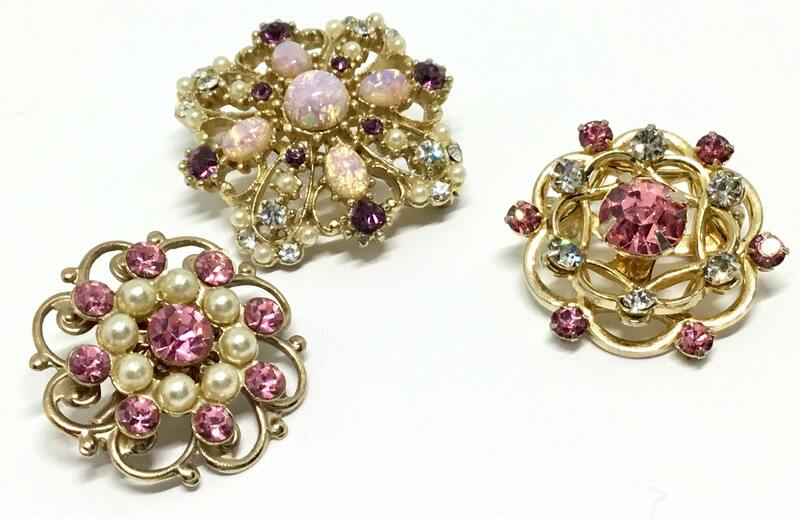 This is a group of three vintage 1950s goldtone smaller pink rhinestone pins. 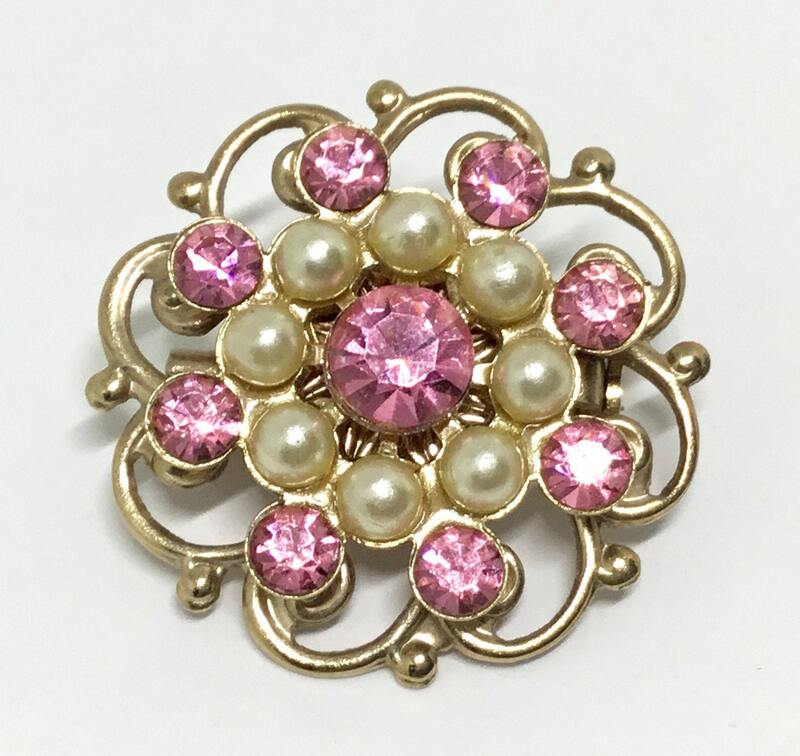 The first one shown has pink rhinestones and an accent circle of faux pearls. 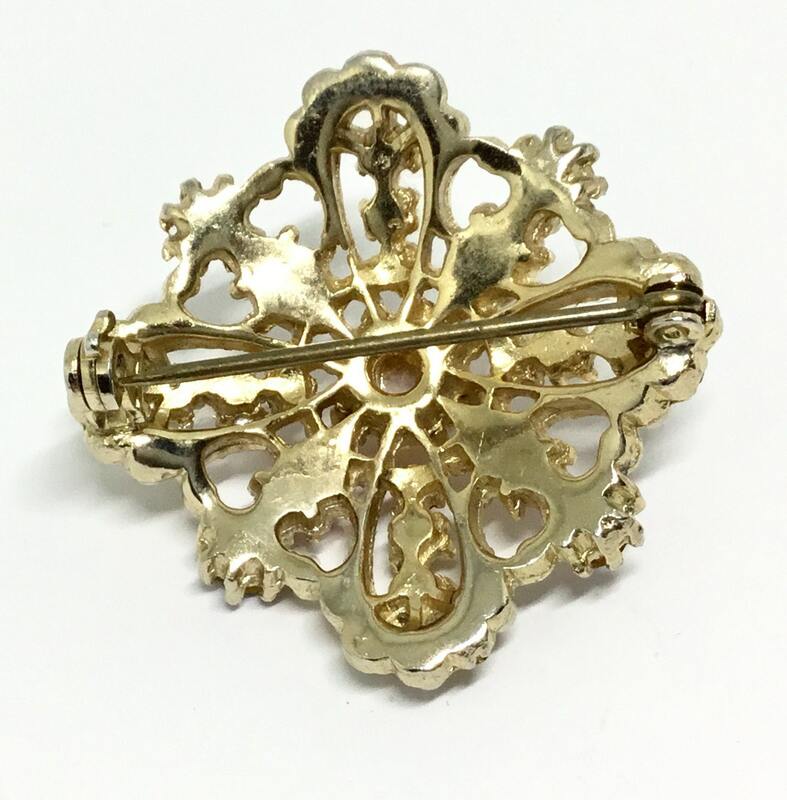 The outer frame is gentle filigree curves. 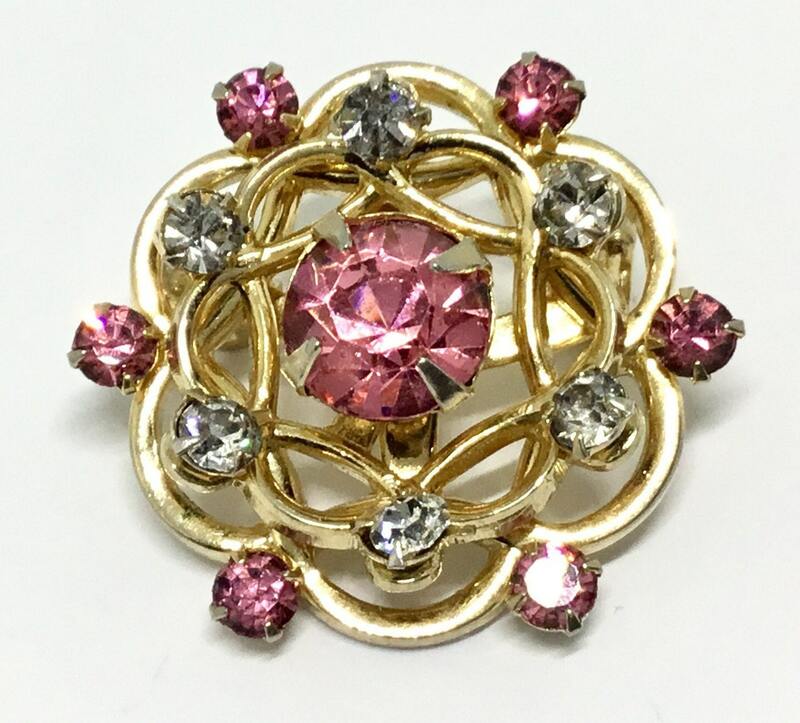 The second pin has a large pink rhinestone center with a circle of small clear rhinestones, and a circle of small rhinestones. 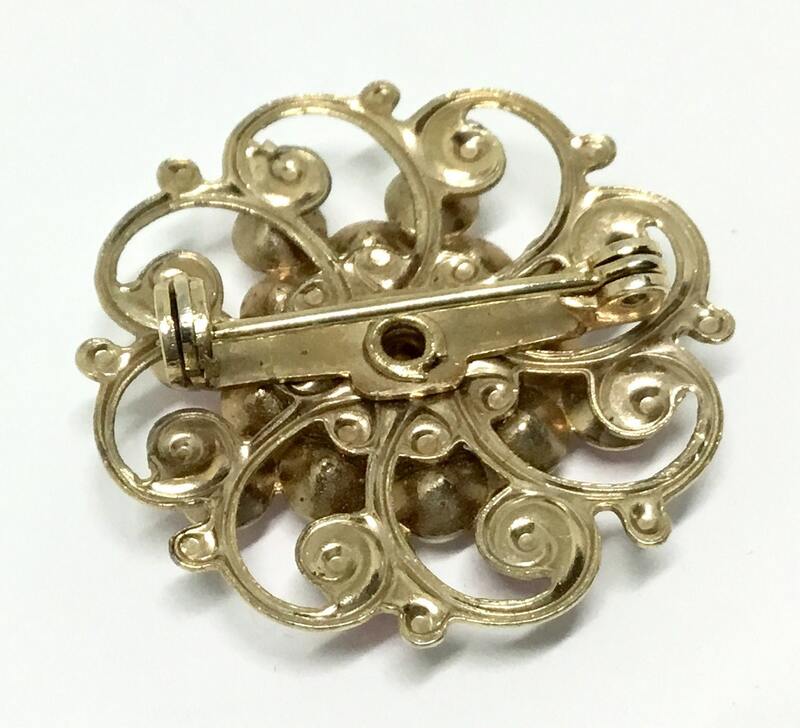 Throughout the pin has gently curving lines. It is also signed on the back CORO. 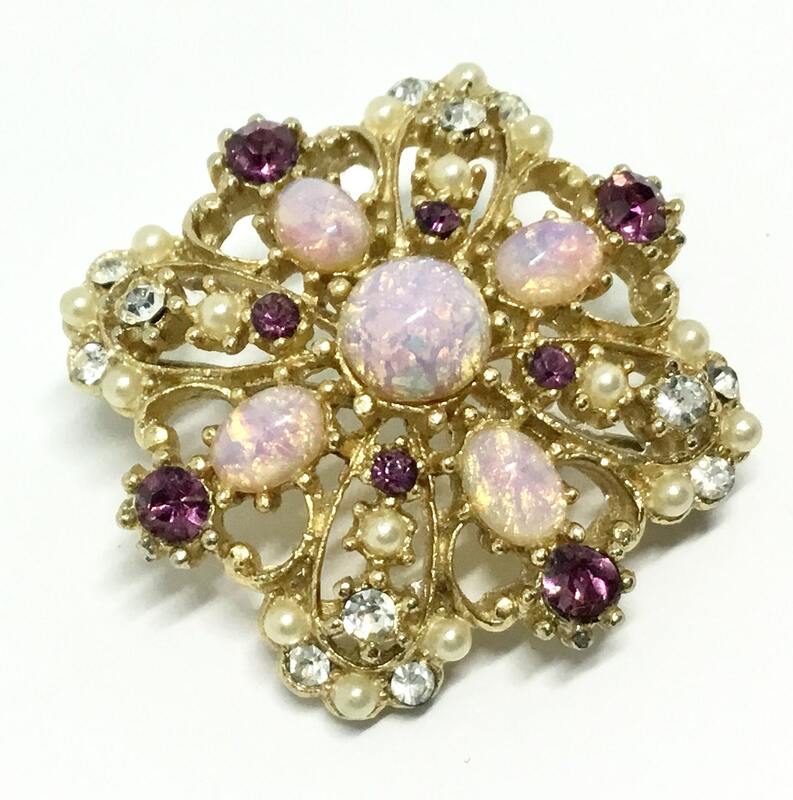 The third brooch is a floral design with faux pink opals accented with small faux pearls and clear and purple rhinestones. 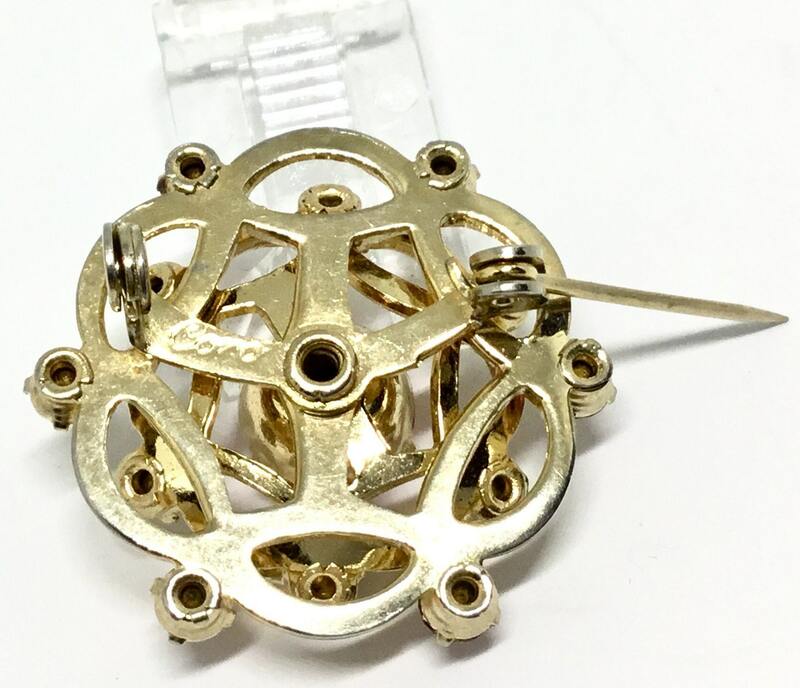 They all measure 3/4” to 1” in diameter and the pinbacks are straight and work smoothly and securely. They are in great vintage condition. 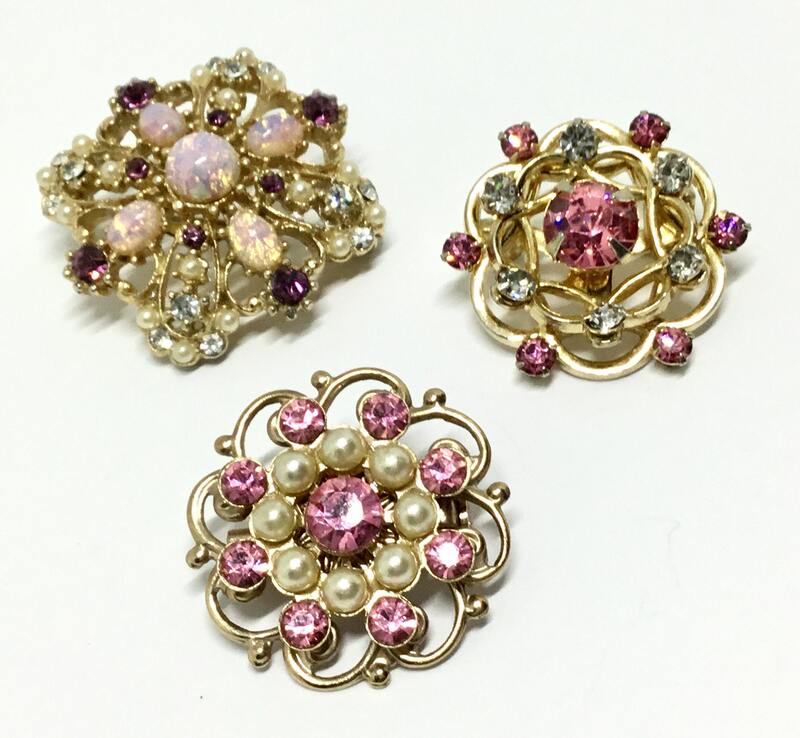 Any one of these sweet trio of pins can put a smile on your face with that little pop of pink. The will become your new favorites!